From UCC Distributing. These Fallout 76 hangers make the ultimate backpack buddy! Clip them or hang them just about anywhere! 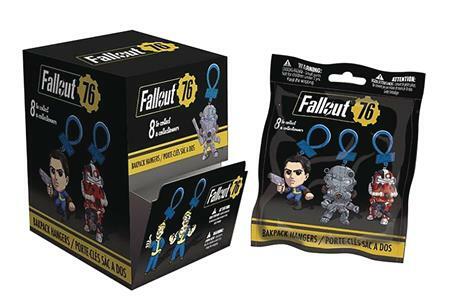 Each Fallout 76 figure stands approximately 2-inch tall and comes blind packaged.